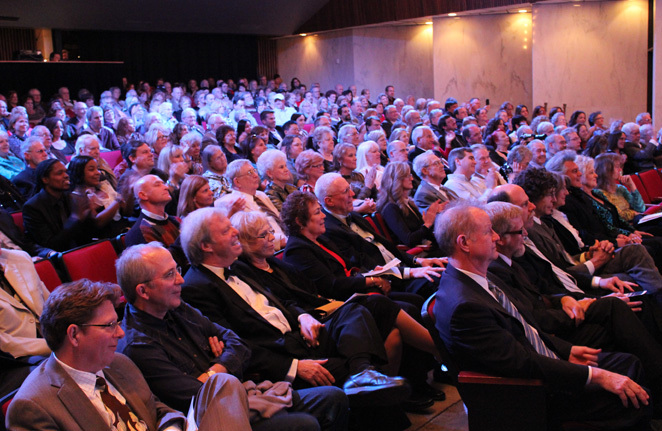 WV Music Hall of Fame Executive Director Michael Lipton offered the opening remarks. 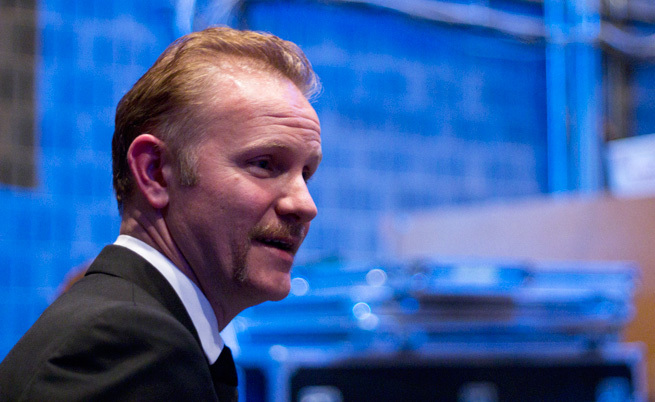 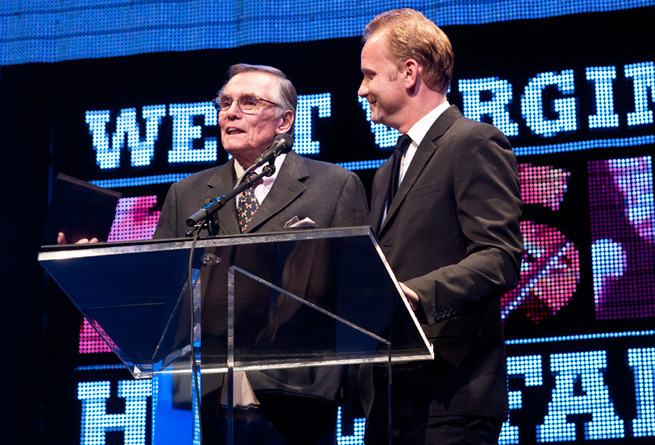 The 2011 Induction Ceremony was hosted by West Virginia natives Peter Hollywood Squares Marshall (left) and Morgan Super Size Me Spurlock. 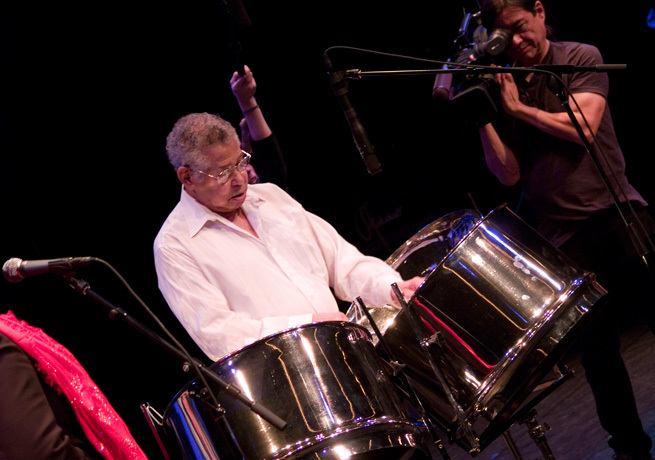 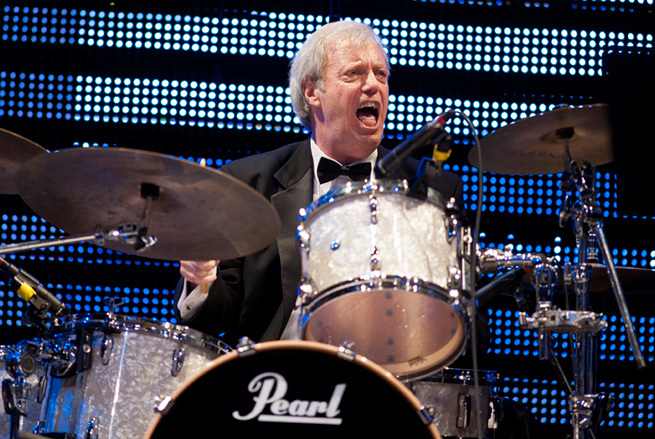 Former Good Morning America host and jazz afficionado David Hartman inducted world-class drummer Butch Miles. 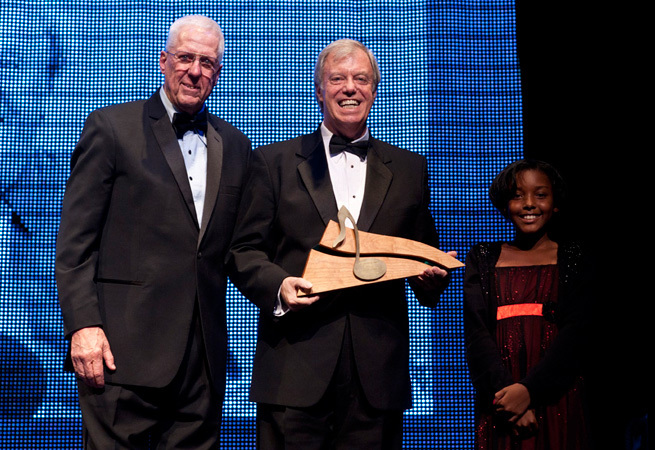 David Hartman presented the award to Butch Miles, with the assistance of Jasihia Daniels. 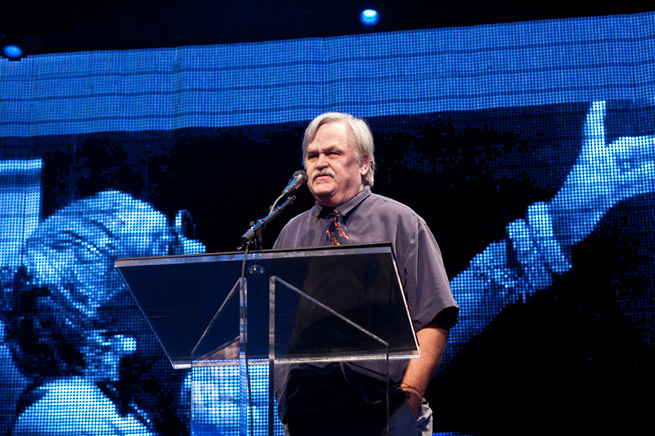 Iconoclast musician Col. Bruce Hampton presented “Diamond Teeth” Mary McClain’s posthumous award. 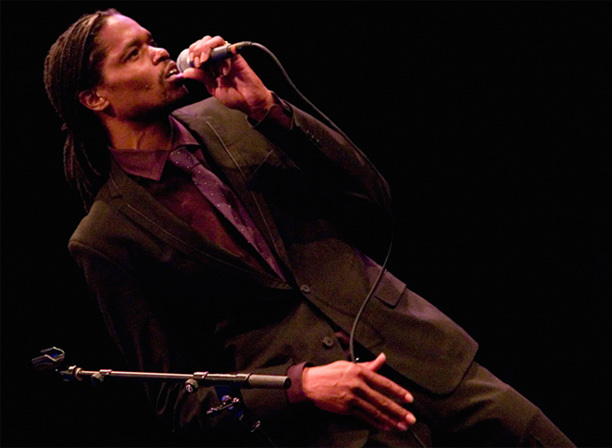 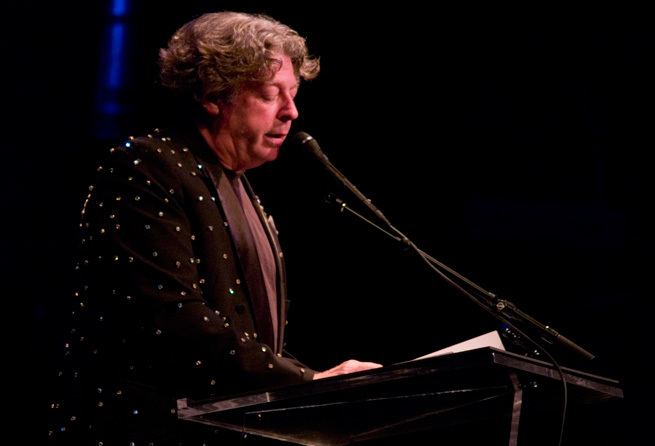 Blain Waide accepted the posthumous award for “Diamond Teeth” Mary McClain. 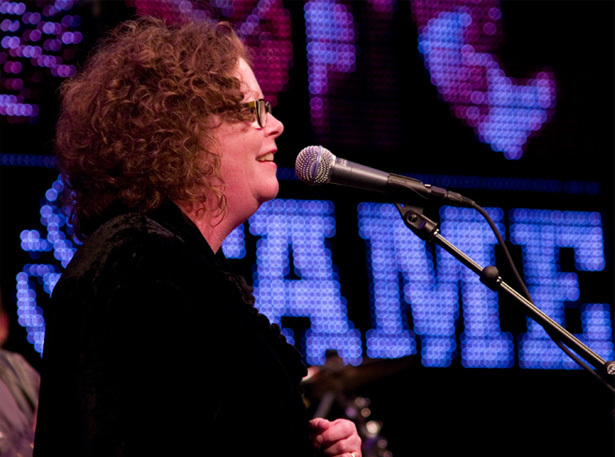 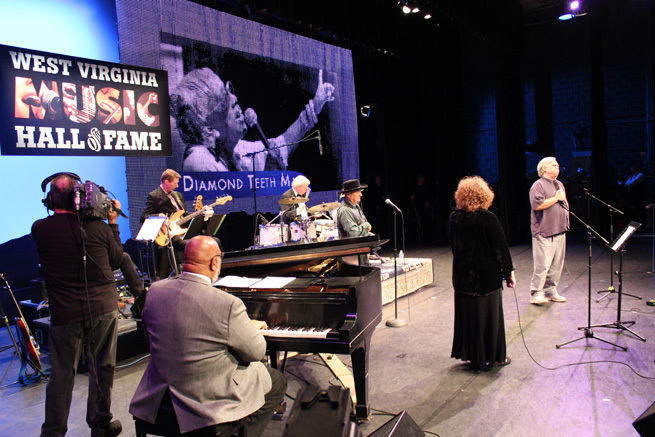 Janie Hendrix, sister of Jimi Hendrix, presented the award to Hall of Fame Inductee Billy Cox, her late brother’s bassist. 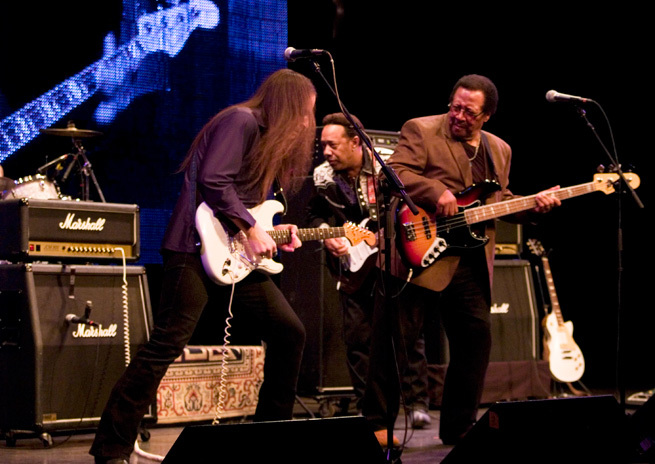 2011 Inductee Billy Cox (right) performed “Rockin’ and Rollin’ On/Voodoo Chile” with Vincent Fults (left) and Byron Bordeaux. 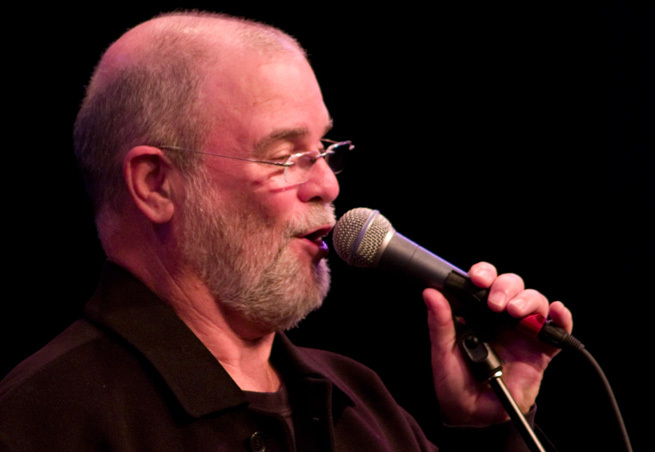 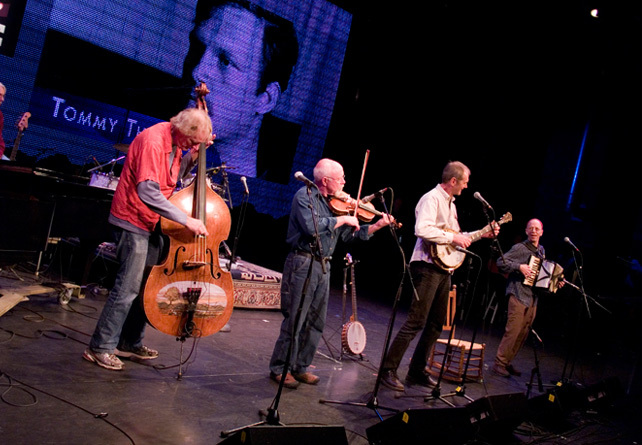 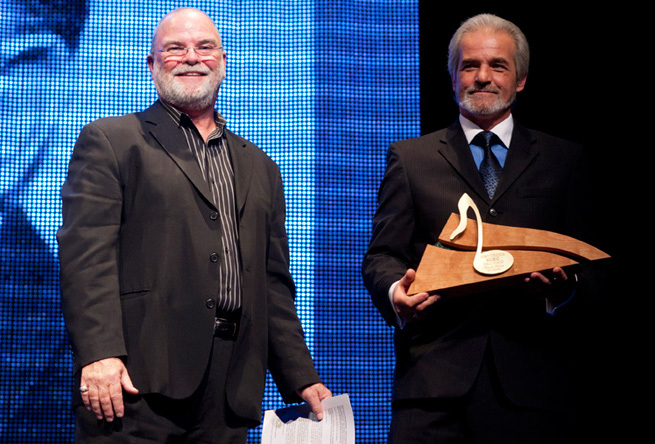 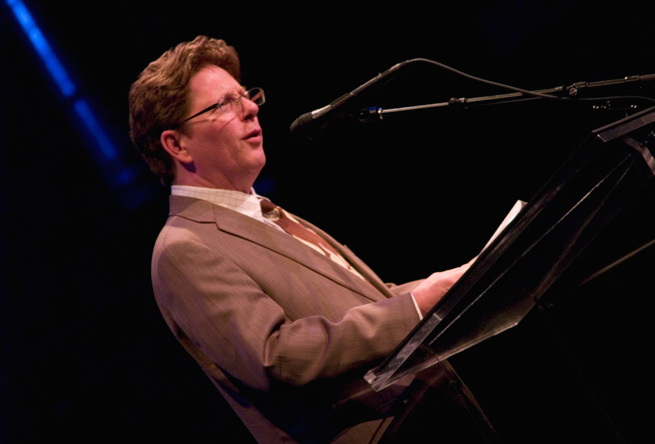 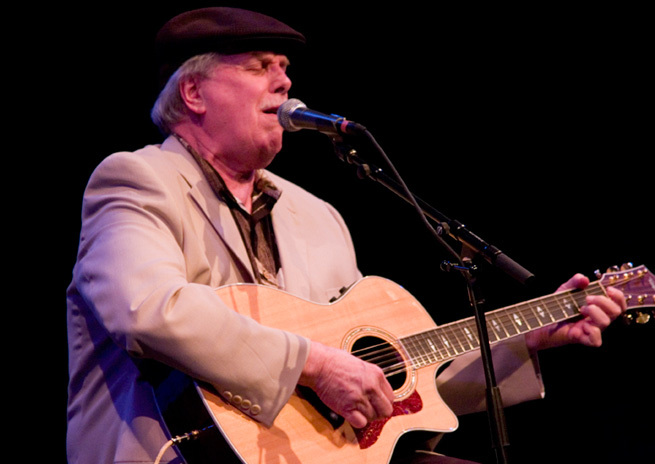 Mountain Stage host Larry Groce presented Jack Rollins’s award to the late songwriter’s grandson Jim Buscmeyer. 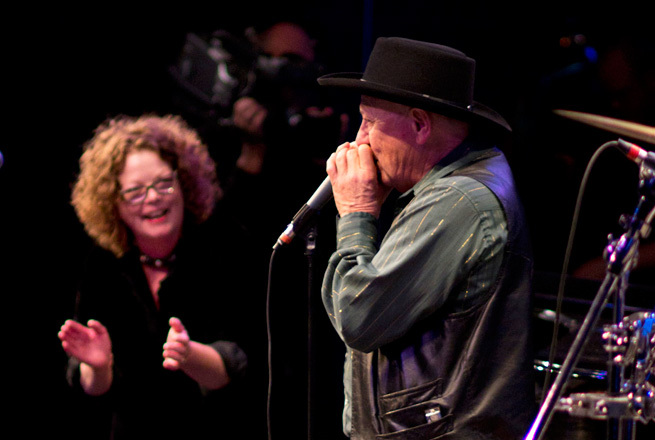 Larry Groce joined Mollie O’Brien and the house band on “Frosty the Snowman,” written by 2011 Inductee Jack Rollins. 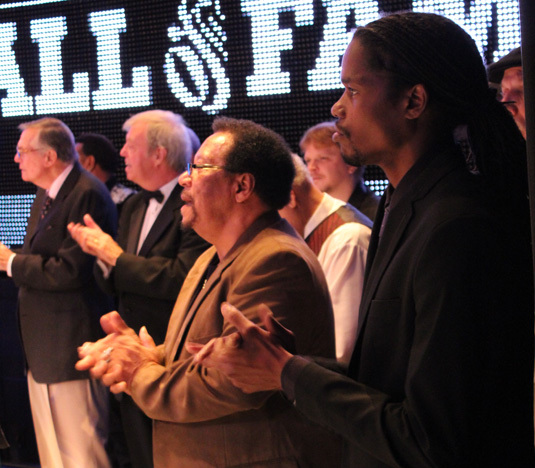 Hall of Fame Inductee Charlie McCoy performed “I Heard That Lonesome Whistle Blow” with the house band. 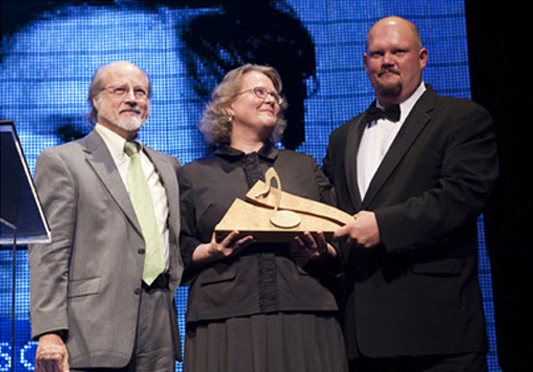 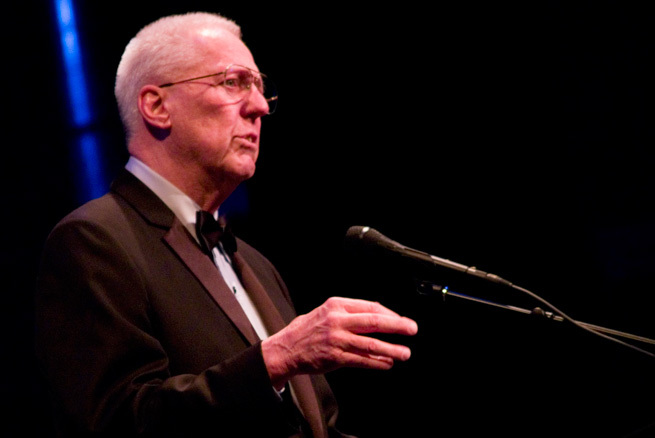 The 2011 Spirit Award was presented to Dr. Ellie Mannette by inaugural Inductee Bill Withers. 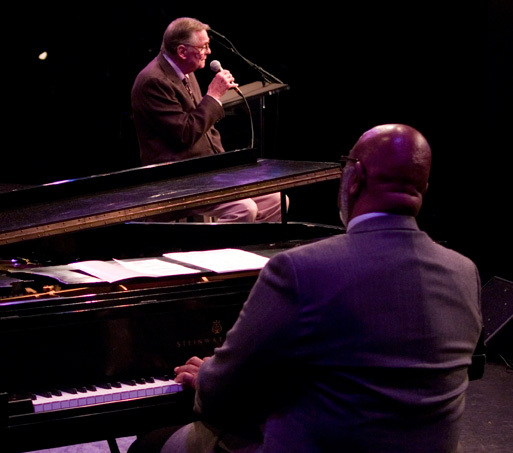 Co-host Peter Marshall sang “I Really Don’t Want to Know” with Bob Thompson and the house band. 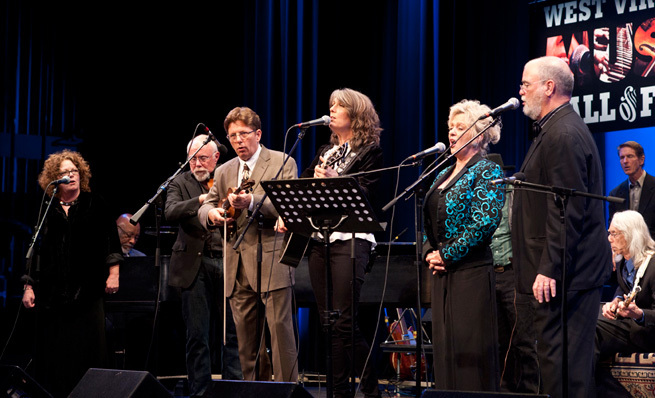 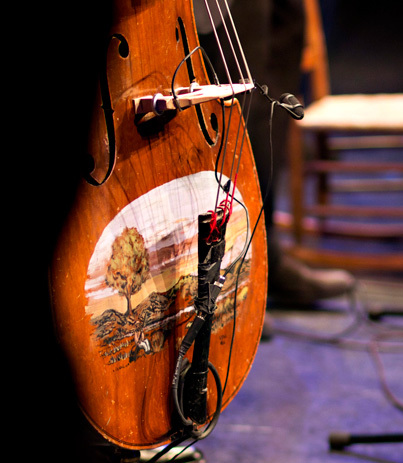 Wheeling native Tim O’Brien presented the award to his longtime friend Kathy Mattea. 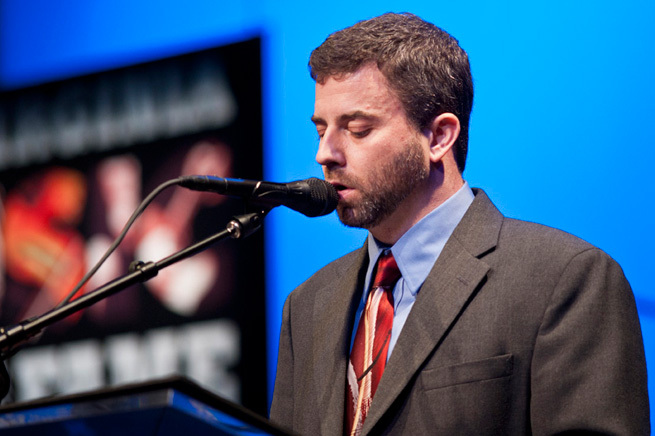 O’Brien wrote some of Mattea’s first hits. 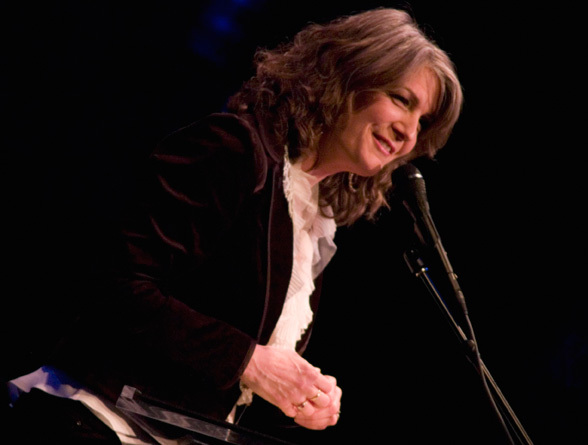 Inductee Kathy Mattea giving her acceptance speech. 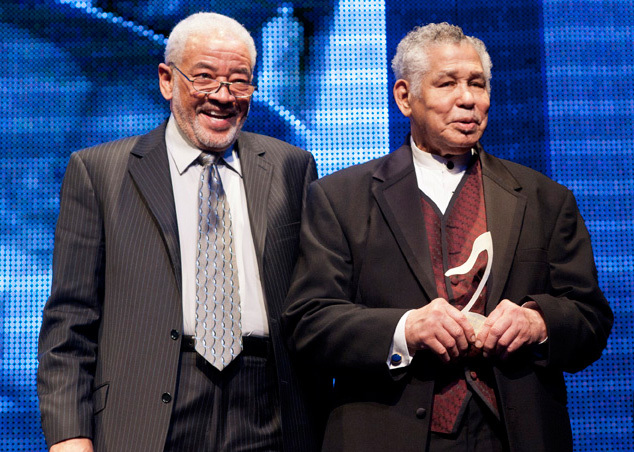 The Red Clay Ramblers’ Bland Simpson presented Tommy Thompson’s posthumous award to Thompson’s daughter Jessica Eustice and son Tom Thompson. 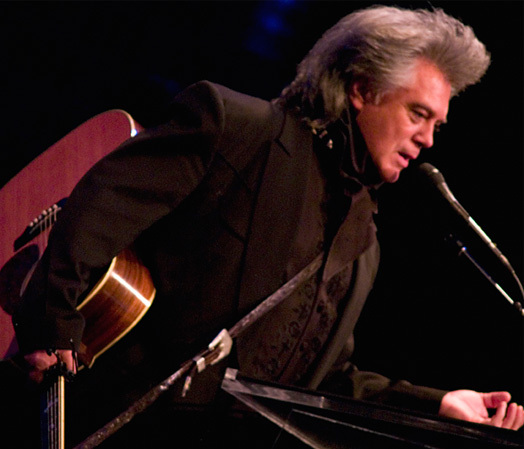 Country star Marty Stuart was on hand to present the award to his wife, the legendary country singer Connie Smith. 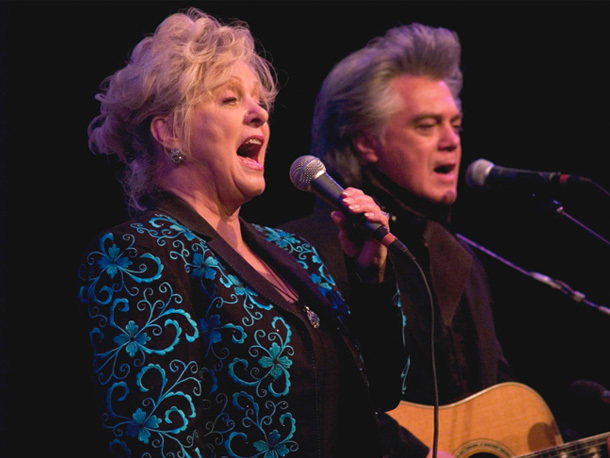 Inductee Connie Smith performed “The Storms Are On The Ocean” with husband, Marty Stuart. 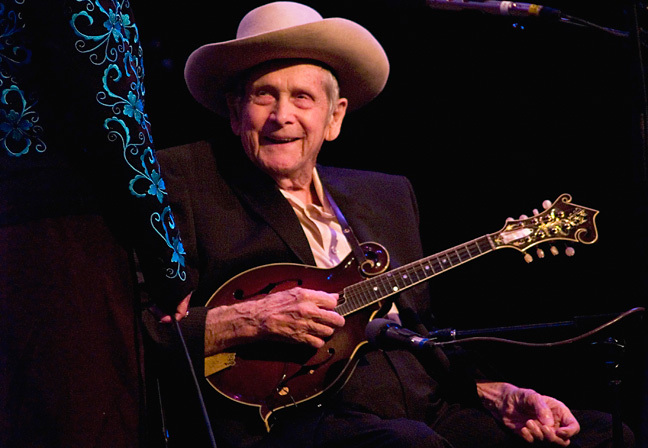 2008 WVMHoF Inductee Everett Lilly joined 2011 Inductee Connie Smith. 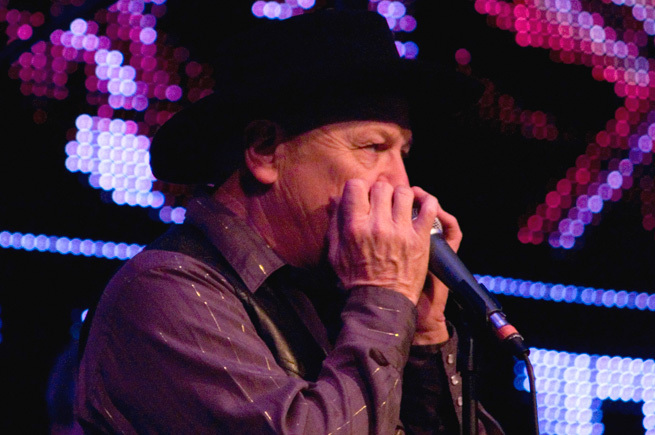 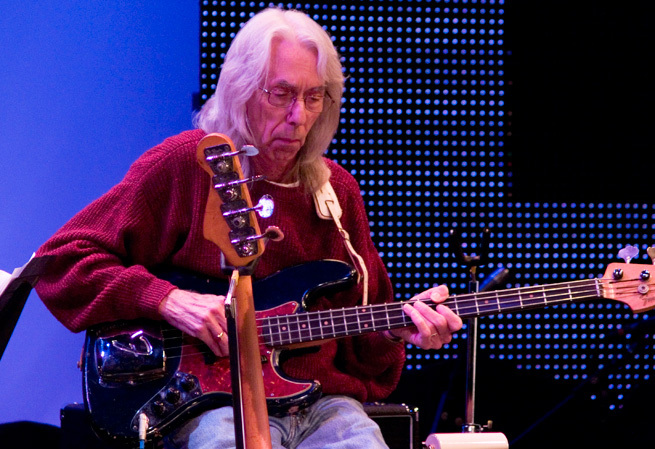 Charleston native Wayne Moss, a legendary character in his own right, joined the house band for several numbers. 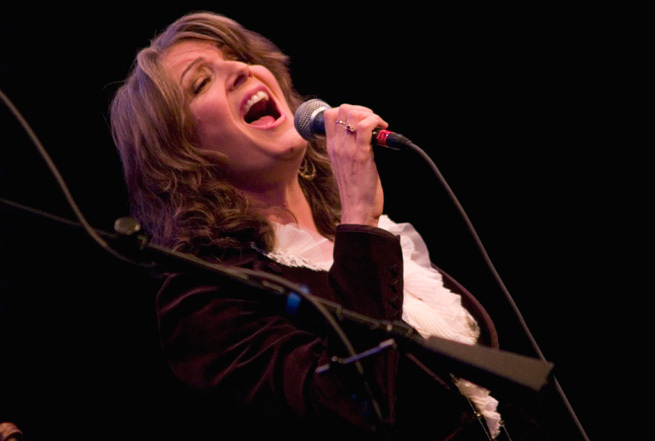 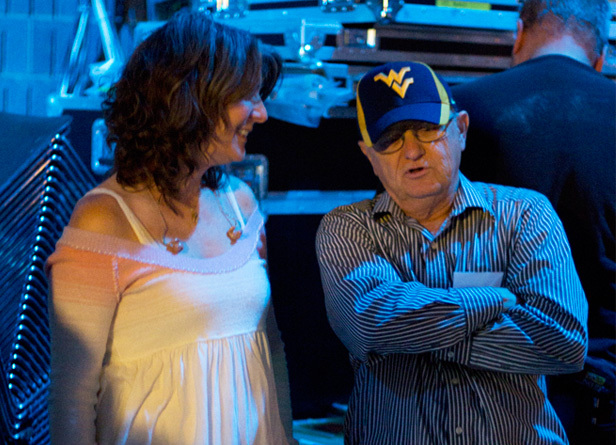 Kathy Mattea chats backstage with Charlie McCoy. 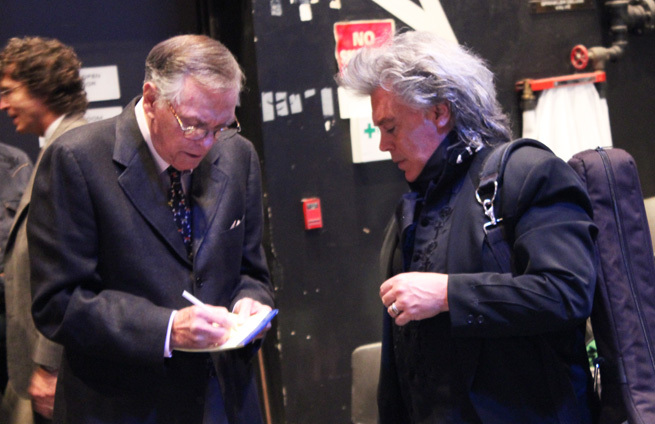 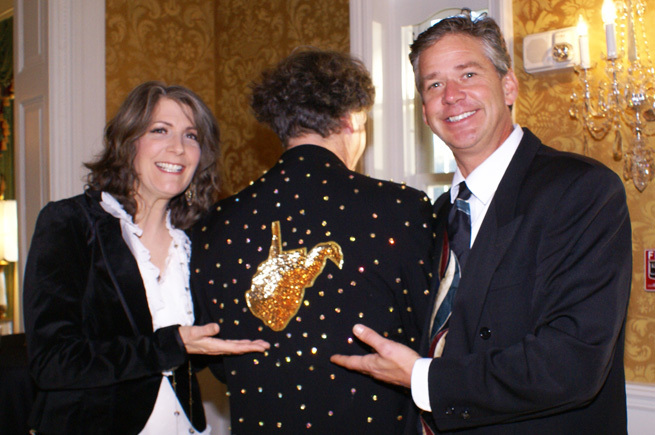 WV Music Hall of Fame Executive Director Michael Lipton’s jacket drew rave reviews. 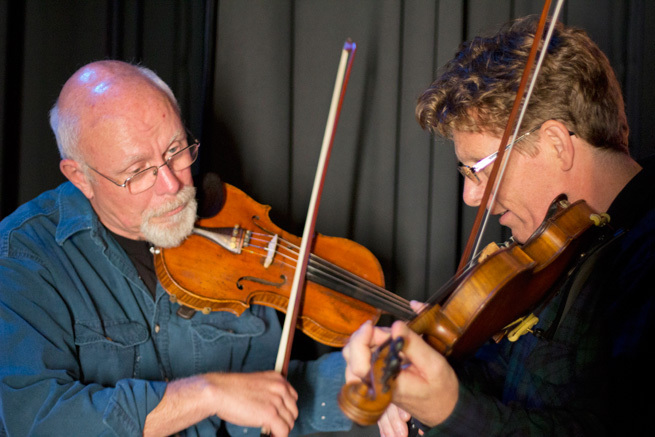 Red Clay Ramblers fiddler Clay Buckner duets with Tim O’Brien. 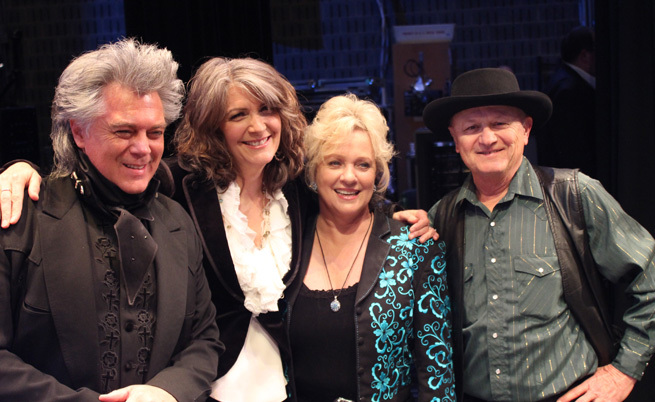 Backstage after the ceremony, from the left, Marty Stuart, Kathy Mattea, Connie Smith, and Charlie McCoy.